Earlier in the year as part of Derby Libraries Big Family Read initiative, a poetry writing competition was launched. 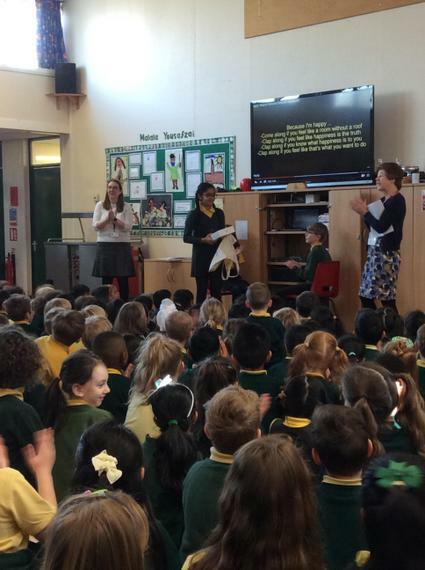 Some of our children entered and last week we heard the news that India in Year 6 had won an iPad for her poem called 'The Bully'. The judges felt her poem gave a creative use of her chosen sentence and demonstrated real empathy for the theme with positive messages. 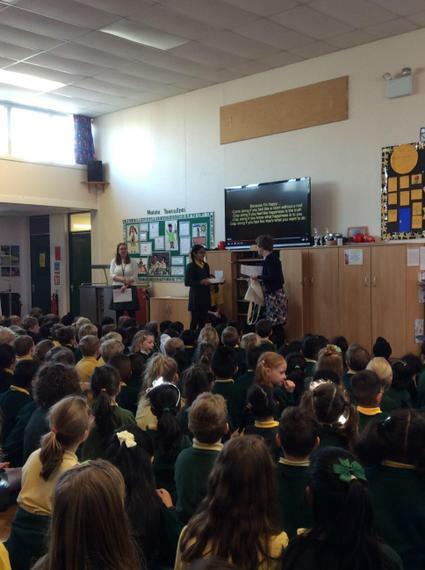 Hilary Marshall, the Children's Library Services Manager came to present India with her prize and India read her winning poem out to all the school.